-Olympic legend Carl Lewis talking to reporters at Mt. Sac as reported in an article by Ken Stone of the Times of San Diego. King Carl had an opinion on just about everything including the USATF relay program (really bad), the IAAF’s decision to kill of the 5000 (also really bad), mixed relays (“clown show”) and whether Michael Norman was running too fast too soon (no). A fantastic read. Ryan Crouser throws 22.74 (74' 7¼") - Best shot since 1990!! Carl Lewis: "Our sport is proving the definition of insanity"
Company wants to move me from Denver to place called Monroe in Louisiana...anyone heard of it? LRC Want an intelligent, nuanced read on Caster Semenya before IAAF ruling? 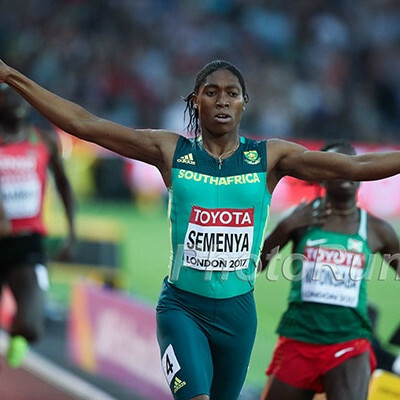 Amby Burfoot: The Whole World Is Watching: Caster Semenya vs IAAF In this in-depth piece, Burfoot argues that intersex pro athletes like Semenya should only be allowed to compete in the female category if their testosterone is below a certain level. LRC Michael Norman Opens Up Season With Sensational 43.45 400 Meters The American is now tied with Jeremy Wariner as the fourth-fastest man in history and in the process he shattered Michael Johnson‘s record for fastest time ever run in April. Updated with Norman quotes. *MB: Michael MF Norman!!! 43.45! Texas Tech’s/Nigeria’s Divine Oduduru Runs 9.95/19.76 Double (Wind-Legal) In Less Than 1 Hour At Baylor That’s VERY impressive. He’s the 10th man in history to do it on the same day. Ryan Crouser Throws 22.74 (74′ 7¼”) – Best Shot Since 1990! Beach Invy At Long Beach State: Omar Craddock Gets Upset Triple Jump Win Over Christian Taylor With 17.68m Craddock moved to #9 on the all-time US list. In the PV, recent NCAA record setter Olivia Gruver won with a MR of 4.66m. Chris Nilsen broke the men’s PV meet record with 5.82m. Good Read: MileSplit: Cole Sprout Runs First Sub-9 3200m On Colorado Soil With 8:57.15 The race wasn’t without controversy though as Sprout and some others were initially DQd for cutting in too soon before the break. The DQ was overturned, the time might still not count as the official state record. *DyeStat Men’s Mt. SAC Recap USC’s Isaiah Jewett ran the 2nd fastest NCAA 800m of the year with 1:46.11 to beat out Georgetown’s Joseph White (1:46.31). MB: Stanford CLEANED UP at Cardinal Classic 3 guys broke 13:40, led by Grant Fisher‘s 13:29. MB: Ex-High School Studs Cooper Teare and Thomas Ratcliffe Crush 5k’s at Stanford Both ran 13:32. 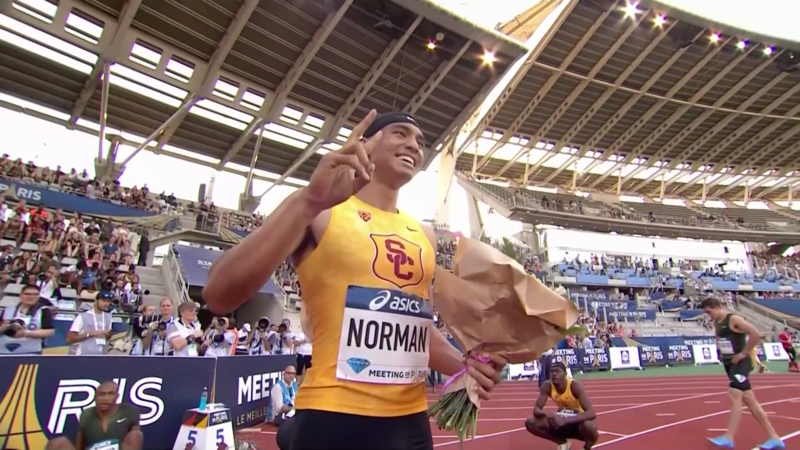 18-Year-Old Ayden Owens Of USC Scores 8,130 Points In Collegiate Decathlon Debut At Bryan Clay In the process, he beat the indoor NCAA multi champ, set a Puerto Rican NR, set a USC school record and moved to #3 all time on the U20 list. Georgia’s Denzel Comenentia Throws 76.80m NCAA Hammer Lead At Mt. SAC He also broke his own Dutch national record. Nike pro Marcel Lomincky won the competition with 77.15m. LRC Edna Kiplagat Gets Her Green Card, Greg Meyer Gets His 10-Mile Record Back, Jordan Hasay Is Back, And An Indoor Marathon World Record Plus we compare the 2000 Boston finish to 2019 and look at how many sub-2:10 marathons have been run by Ethiopia, Kenya, and the USA. 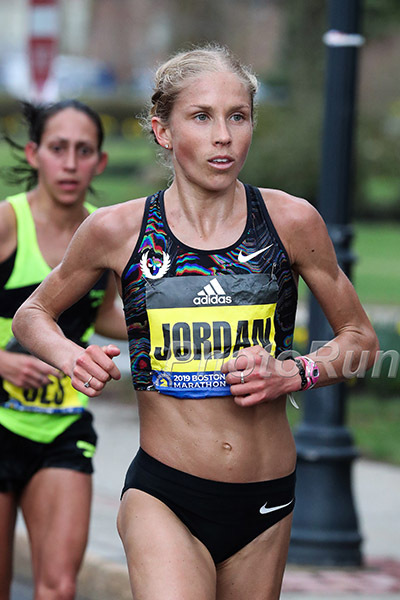 LRC 2019 Boston Marathon Recap Podcast: Cherono Wins Mad Sprint, Jordan Hasay Is BAACK, Scott Fauble AND Jared Ward Sub-2:10 Is Jordan Hasay America’s best marathoner? Which celebrity was best in Boston? 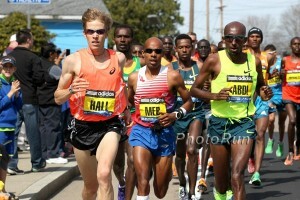 Might Galen Rupp not make the Olympics? Plus an interview with the guy who won the wave 1 start, Stephen VanGampleare. Men’s Mid-Outdoor Bowerman Watch List Update No big changes, Grant Fisher and Morgan McDonald are still the lone distance runners. Women’s Bowerman Watch List Update Nine of the ten women remained the same with Jessica Hull, Danae Rivers and Alicia Monson repping the distances. April 26: Drake Relays Announce Women’s 400H And Long Jump Fields Kori Carter has the fastest PR in the 400H and is up against Olympic bronze medalist Ashley Spencer. 2018 US champion Sha’Keela Saunders leads the LJ. May 3: World Champ Ramil Guliyev And Dina Asher-Smith Vs. Marie-Josee Ta Lou Head 200m Fields For Doha 2018 rivals Jamaica’s Janieve Russell and Olympic champ Dalilah Muhammad will face off in the 400H. June 12th: Polish Stars Confirmed For The Irena Szewinska Memorial In Bydgoszcz The meet was previously known as the Bydgoszcz Cup, but was renamed in memory of the late Polish 1976 Olympic 400 champ (and first woman to break 50) Irena Szewinska. 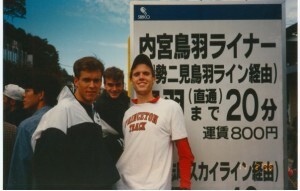 LRC How Will The Tokyo Weather (And A 6 AM Start) Affect The 2020 Olympic Marathons? Should The Start Be Moved To Night? The conditions for the 2020 Olympic marathons are going to brutal. 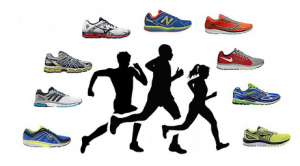 We tell you what past races it most likely will resemble and agree with Brett Larner – the races should be run at night. 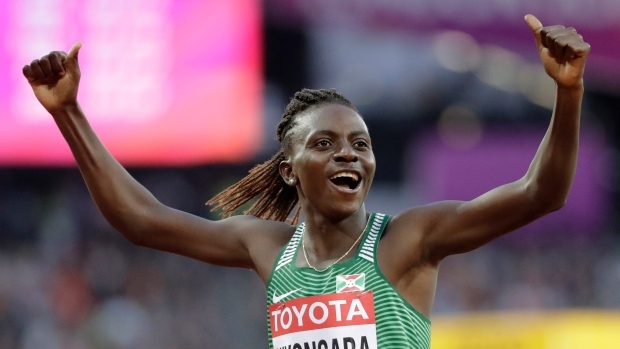 Olympic 800m Silver Medalist Francine Niyonsaba Admits She Also Has Naturally High Levels Of Testosterone There was evidence that Niyonsaba had the same high testosterone condition as Caster Semenya, but we believe this is the first time it’s been officially confirmed. *MB: Francine Niyonsaba admits to high testosterone. MB: Chris Derrick is OUT of London Marathon Derrick said he was “doing the best marathon training of my career” but says he got greedy in training and pushed through a plantar fascia issue. Caster Semenya Honored On Time Magazine’s List Of The 100 Most Influential People Of 2019 Other athletes on the list include LeBron James and Tiger Woods. Laura Muir Writes A Letter To Her Younger Self Muir reveals she was interested in animals from a young age and even had pet rats. Don’t let Kiprop’s doping ban jade you too much as there still were some incredible performances you can hope were clean this past week. LRC *What are the World’s Best Sub 10/Sub 20 One-Day Doubles? We Rank Them Justin Gatlin tops the list but Ato Boldon deserves special praise. The newest entrant – Texas Tech’s Divine Oduduru – joins the list at #3. 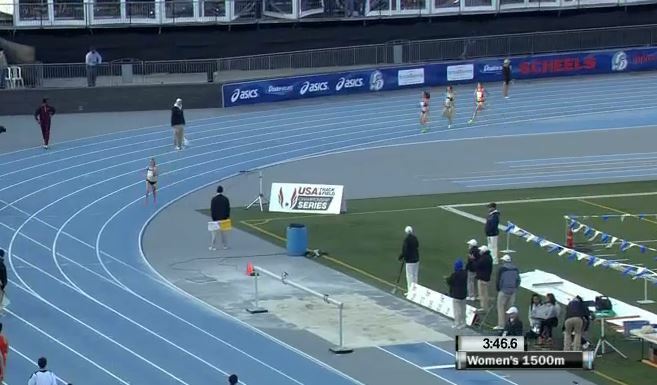 *MB: Parker Stinson goes for broke but still ends up top American He ran 29:10 the hard way – 14:04 – 15:06. Uganda’s Jackson Kiprop (2:10:39) And Ethiopia’s Meskerem Hunde (2:33:32) Win Nagano Marathon In Japan Kiprop beat out Derese Geleta by just 3-seconds. *MB: Zach Ornelas Two Oceans 56k, 3:19, 9th overall The MB poster says he’s the 1st American ever in the top 10. USATF 1 Mile Road Championships Is Tuesday In Iowa – Masters, Lipari Eye Repeat But They’ll Have Plenty Of Competition Kyle Merber, Lawi Lalang, Nikki Hiltz, Shannon Osika, etc. Coach Thinks Kiwi 17-Year-Old Sprint Star Eddie Osei-Nketia Can Also Star For All Blacks Sevens In Rugby He’s already run 10.19 and 20.76 at 17. Kendall Ellis Making Her Pro Debut At Mt. SAC Ellis is doing just fine financially but her former USC teammate Jaide Stepter has been a pro for years and still doesn’t have a contract even after running 50.63 last year. DuckSports Profile On Oregon Sprinter Cravon Gillespie, Who Will Be Competing At His Former Stomping Grounds At Mt. 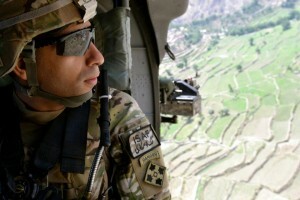 Sac. Good Read: Former Track Star Who Lost Feet To Frostbite Ran A World Best For Double Amputees At Boston Marko Cheseto ran 2:42:24 to beat the previous world best of 2:42:52 from 2010. Ireland’s Fionnuala McCormack Looking Toward Tokyo 2020 After 11th Place Finish In Boston McCormack set a 44-second PR just 6 months after giving birth to her daughter, Isla. *MB: Marine crawls over finish line in Boston: Overdone? Interesting: The Telegraph Looks Back At When Katherine Switzer Was Chased By An Official For Wearing A Bib During The 1967 Boston Marathon Switzer was running with her nationally ranked hammer thrower boyfriend (future ex-husband) Tom Miller, who was removed from the Amateur Athletic Union for body checking the official who tried to wrestle away her bib. Joan Benoit Samuelsonn Crushed Her Goal With A 3:04 At The Boston Marathon The 61-year-old wanted to run within 40 minutes of her 2:35:15 winning time from 40 years ago, but topped that by coming in less than 30 minutes over that time. How Did The Celebrities Do At This Year’s Boston Marathon? Former Olympic gold medalist gymnast Shawn Johnson ran the BAA 5k in 31:54 and her her husband, NFL player Andrew East, ran 4:43:05 for the marathon. 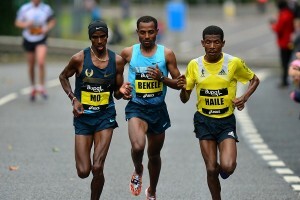 RW’s Most Inspiring Photos From Boston Did you know Meb Keflezighi was the Boston grand marshal? IOC Pledges $562,000 To Help Restore Notre Dame Ahead Of The 2024 Paris Olympics France’s president says he wants to see Notre Dame restored within five years. World’s Largest Ever Athletics Exhibition Opens In Largest Shopping Mall in Doha – Will Stay Open Through Worlds During the opening ceremony Lasse Viren donated the pair of shoes he wore when running the marathon at the 1976 Montreal Olympics. Seb Coecontributed the spikes and vest he wore when winning the Olympic 1500. 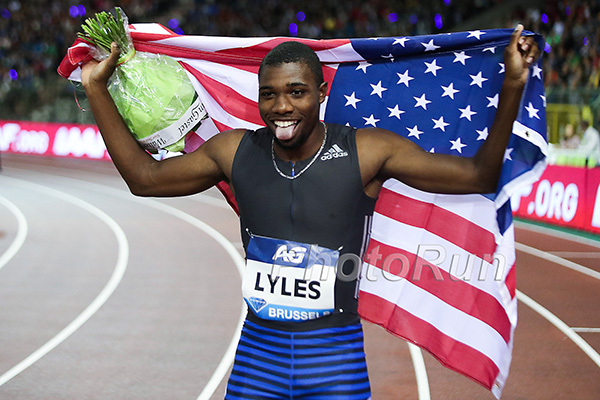 IAAF Releases Consensus Statement On Nutrition For Athletes Looks like mostly basic info (nutrition and protein can help rehab muscle injuries for example), but with 16 different articles there is sure to be some good information in there. Kenya Not Sending 4 X 100 Or 4 X 400 Relay Teams To The IAAF World Relays Apparently the only one they hit the standard in was the men’s 4 x 400, but the IAAF didn’t ratify the meet it came at. Kenya will still send 4 x 200 and mixed relay teams where there were no standards. RIP: New Zealand’s First Female Olympic Gold Medalist And Former Long Jump WR Holder Yvette Corlett Has Died, Aged 89 She won the LJ at the 1952 Helsinki Olympic Games. Jamaica Names 80-Strong Team For Carifta Games Includes the Ato Boldon-coached Briana Williams. UCLA College Admissions Scandal: LA Times Alleges Parents Paid $100,000 To Get Their Daughter Into UCLA As A Track Athlete Reportedly a woman athlete got into the school and onto the track team even though former UCLA track coach Mike Maynard said she wasn’t “athletically up to the performance level” of UCLA, but he felt “manipulated” into listing her as a recruit. South Carolina’s Quincy Hall And The University Of The Incarnate Word’s Sarea Alexander Are NCAA Athletes Of The Week Hall set the NCAA 400m lead with 44.53 while Alexander tied the NCAA LJ lead with 6.60m. No Changes To The Top 3 Men’s Teams In Updated Men’s NCAA Rankings Texas Tech, Texas A&M and Florida sit 1-3 while LSU moved up from 6th to 4th. Top 3 Women’s NCAA Teams Remain Unchanged With Southern California, Texas A&M And Arkansas LSU moved up one spot to 4th. 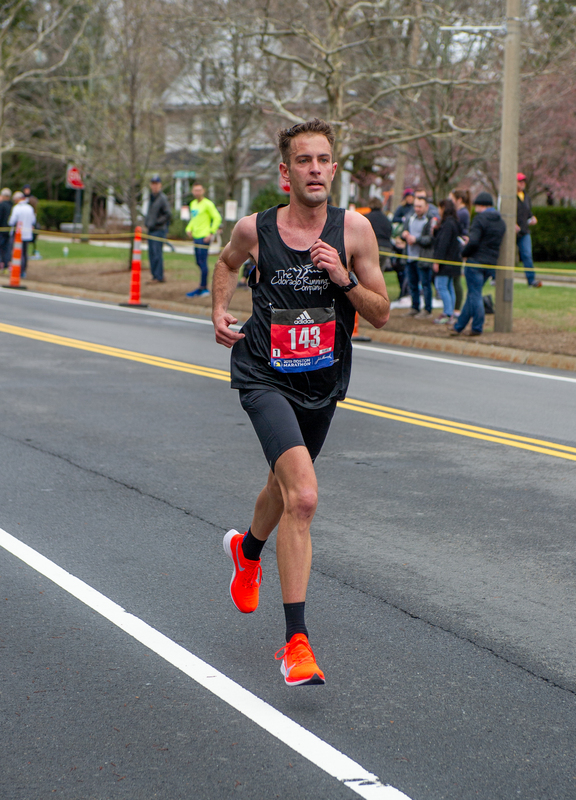 LRC 2019 Boston Marathon Report Cards: Ranking The Top 10 & the Americans, A Through (DN)F Jared Ward gave himself an A-, what did the other pros get in Boston? Recommended Read A Few Years Ago, Anna Shields Was A College Dropout Who Bought A Pair Of Shoes At Target To Win A Steps Contest At Work; Now She’s A 2:04/4:12 Runner And an NAIA superstar at age 28 for Point Park. Kenyans Picking Up Plenty Of Medals At African U20 Champs 9:48 won the girls steeple and 8:14 the boys 3k. Two Oceans Course Is Altered Just Days Before The Race A dispute in the Hout Bay Imizamo Yethu informal settlement area is causing a big course change. Outrage As It’s Learned That Two Oceans Won’t Be Screened On TV The traditional broadcaster has major financial woes. Paula Radcliffe Warns Caster Semenya Verdict Could Be The Death Of Women’s Sport Radcliffe fears country will start cherry picking athletes with hyperandrogenism and force them into sport or that this ruling could open the door for transgender athletes to compete without any hormone treatments. Proving David Howman’s Point: Sport Ireland Reveals They Had Only One Anti-Doping Violation In 1,112 Tests In 2018 The only athlete caught was a boxer who tested positive for cannabis. Game Of Thrones Actor And The Reigning “World’s Strongest Man” Admits To Steroid Use Is anyone really surprised that “The Mountain” takes steroids? Japanese Weekend Preview: Asian Championships, Hyogo Relay Carnival, Nagano Marathon Alfred Kering (2:017:11 from 2010) and Valentine Kipketer (2:23:02 from 2013) are the favorites at the Nagano Marathon. 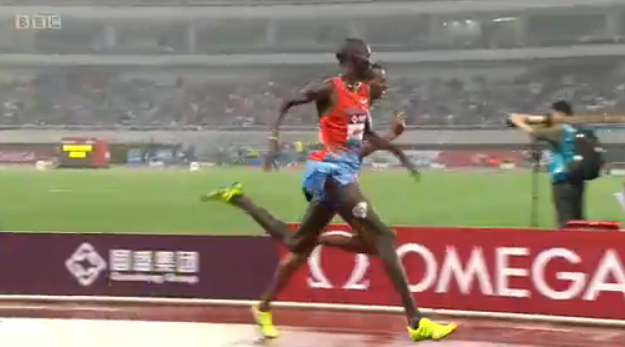 Bahrain’s Abraham Cheroben (58:40) And Ethiopia’s Sutume Asefa (67:54) Lead Fields For The Yangzhou Jianzhen Half Marathon In China Cheroben faces four other sub-60 minute men while the women’s race has three other women in the 66-68 minute range. Waganesh Mekasha (2:22:45) And Marius Kimutai (2:05:49) Lead Fields For The Yellow River Estuary International Marathon In China The men’s race has a total of ten sub-2:10 runners. NBC To Lead All Advertising Sales For The 2028 LA Olympics In the past, advertisers had to go to NBC for TV ads, the USOC to sponsor Team USA and the local organizing committee for marketing at the Games, but now NBCUniversal will handle all of it. 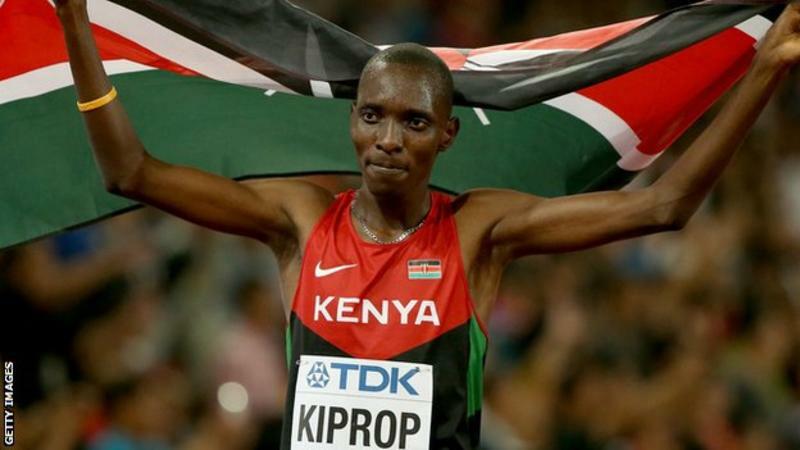 Kenya Names Its Team For 2019 World Relays They used an 800m race to pick the athletes for the 2 X 2 X 400m mixed relay with 2016 Olympic 5th placer Ferguson Rotich (1:45.40) and Eglay Nalianya (2:02.29) coming out on top.